AmortizeIT, The Amortization Schedule 4.0f - Download Win Apps. 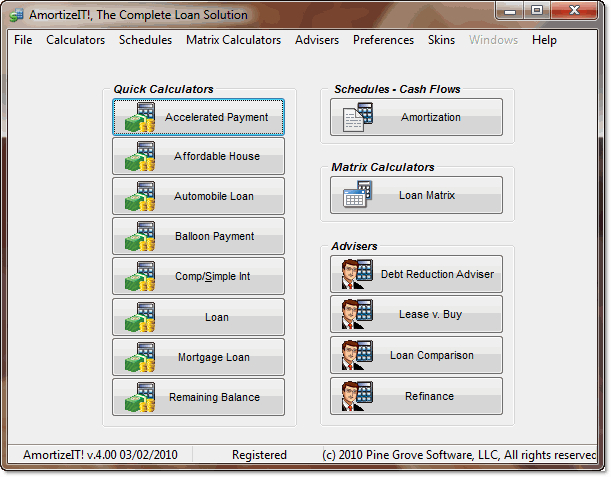 A fast, easy-to-use collection of 14 financial calculators..
A fast, easy-to-use collection of 14 financial calculators. Amortization Schedule. Debt Reduction Adviser. Loan Matrix. More.